Is Saint Paddy’s Day right around the corner? Well, if you want to avoid getting pinched all day you better start stocking up on the green apparel. Let everyone far and near know right away that you’ve got plenty of Saint Paddy’s Day spirit when you toss on this Green Derby Hat! It will be the perfect accessory to top off your leprechaun costume or even just a fun and festive outfit. Once you toss on this derby hat, you’ll look more than ready to celebrate Saint Paddy's to the fullest. Make sure to take a look at the rest of our green accessories so you can have the most original and greenest costume this year. 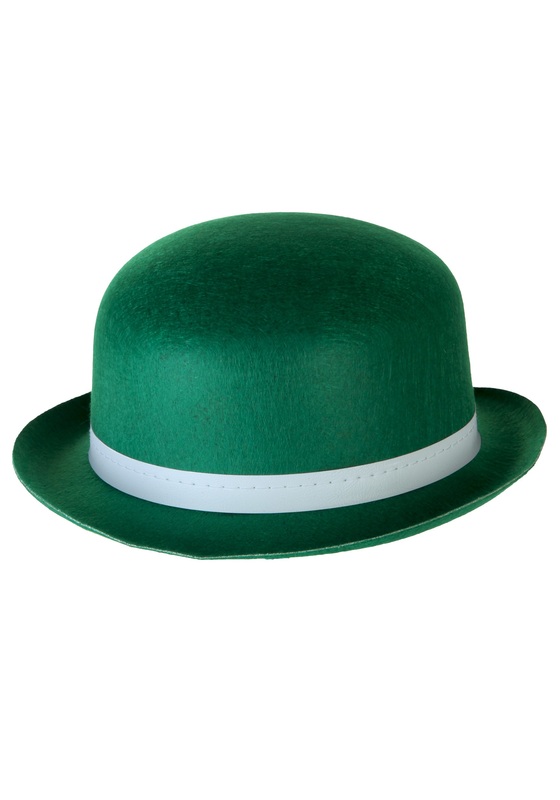 No matter how much matching apparel you get, as long as you top off your outfit with this derby hat, you’ll be sure to make plenty of others green with envy! My cane arrived broken then when I spoke to a representative from your company she advised she would send another which I never received. Tuesday, 10/30/2018 at 11:56 A.M. Left At:Front Door. So, a replacement was sent to you by our company. Thank you.